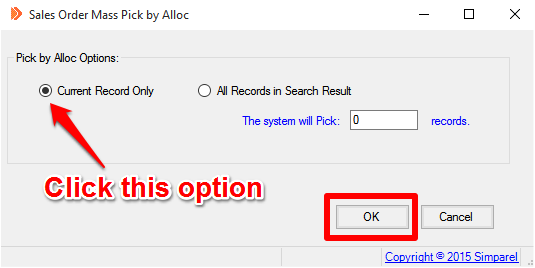 Once you have a sales order in the system, proceed to follow the steps below to Create a Pick Ticket. 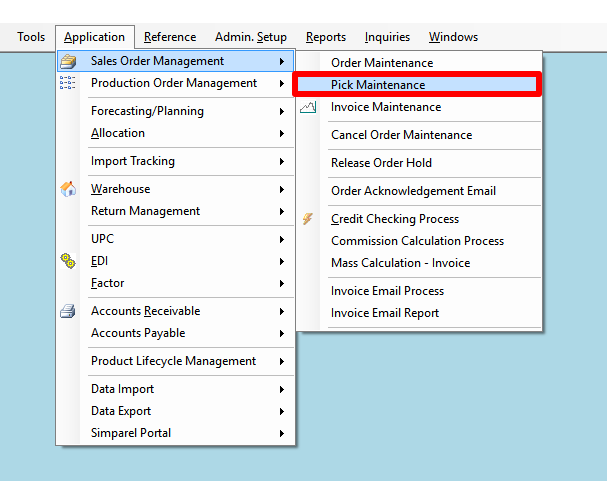 Start by opening Sales Order Management > Order Maintenance, if you have not already done so. 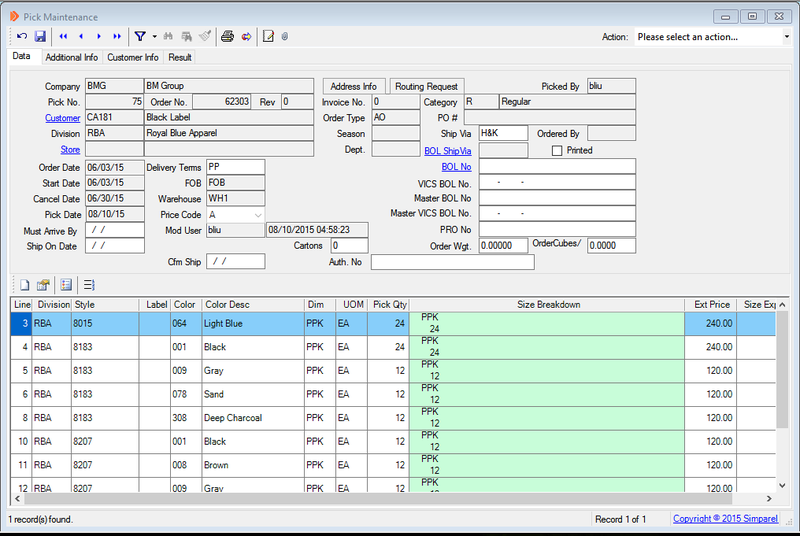 After entering an order, Simparel will automatically allocate quantities to those line items with available quantity. If the allocation is successful, you will see READY in the NSR column in the Order Details section. Not all line items may be READY. If you see an NSR code of -----, that means there is no available quantity for this item anywhere. That means none in inventory and none in production. Click on Pick Allocated at the top of the window. The Sales Order Mass Pick Alloc window will open. 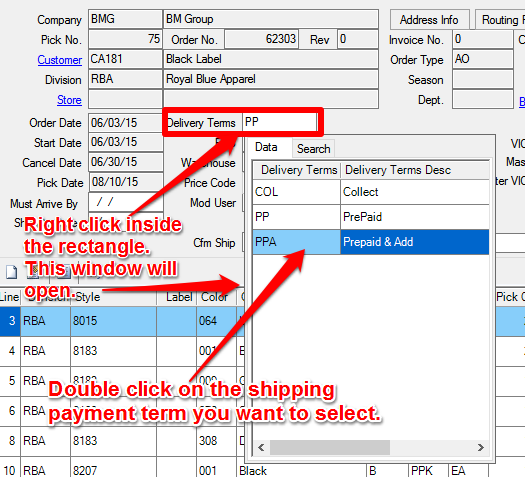 If you want to generate a PT for this sales order only, then click Current Record Only and then click OK. 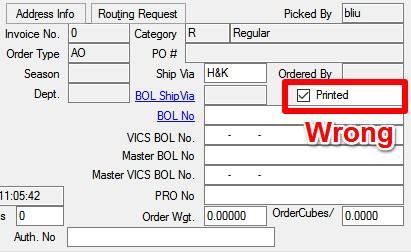 If you want to generate PTs for multiple orders, then click Cancel to go back to the Order Maintenance window. Click on the Find button at the top. Click on the Clear Filter button to clear all previous search terms. Type in the search criteria you want. You can type multiple. For example, we can search by the person who entered the order and the order date. After you type in the search terms, click Apply Filter at the top. If there are records that meet the criteria, they will appear in another window. Click Pick All Allocated at the top. Select All Records in Search Results. A system message window will appear showing how many pick tickets were successfully generated. In this example, only one of the orders had available quantities to be picked. Therefore, only 1 pick ticket is created. After creating the pick tickets, we may have to change certain details about the order. To do so, open Pick Maintenance. Now we will find the Pick Ticket for the Sales Order. Click on the Find Mode button at the top. Type in the Pick Number if you know it, or the order number for which the pick ticket was generated. You can type in both too. Click Apply Filter at the top of the window. The Pick Ticket for the order will appear, if it exists. 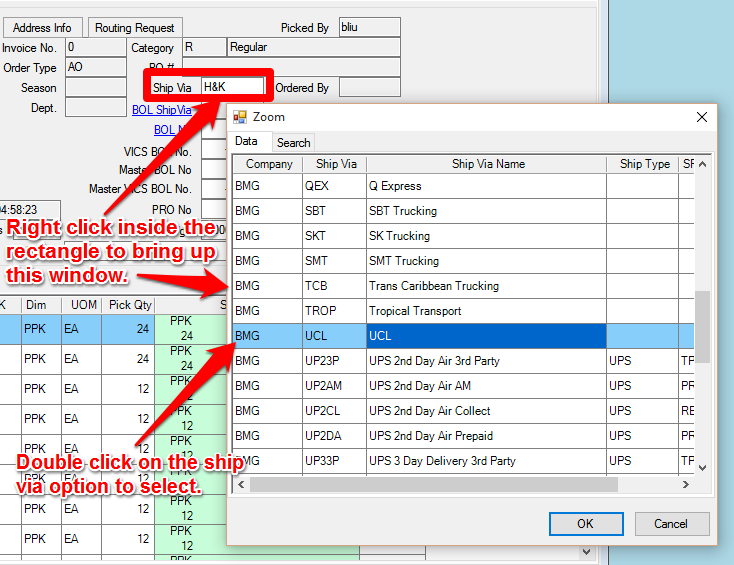 If you need to adjust the Ship Via for the order, right click on the rectangle next to Ship Via. If you need to change the Delivery Terms (which is how the customer will pay for shipping), right click on the rectangle next to Delivery Terms. COL - Collect, means we will pay for shipping. PP - PrePaid, means the customer pays for shipping but the fee will not show up on the invoice. PPA - Prepaid & Add, means the customer pays for shipping and the fee will show up on the invoice. This is the most common. 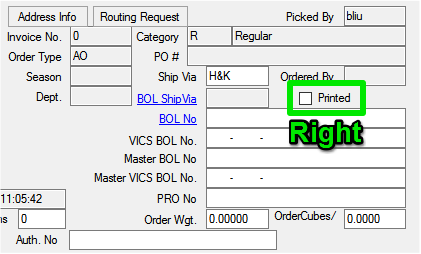 In order for the Warehouse to print the Pick Ticket, make sure the Printed checkbox is unmarked. Otherwise Simparel will prohibit them from printing the ticket, to avoid duplicates. Click Save at the top of the window.